First thought that comes to every female patient who wants to undergo breast enlargement surgery is what types of implants are on the market. Below we will try to analyse the argument regarding round type of breast implants by describing their basic characteristics. Round implants have been manufactured for many years. We'd need to highlight from the beginning that it is impossible to indicate the best types of implants, because the desirable effect can only be obtained when the proper (most suitable) type of implants will be chosen in the first place. It is important that the best choise of the most suitable type of implants is made during medical consultation with the surgeon, who, no doubts, will advise on the most suitable size and shape of the breast implants. Breast enlargement surgery, as all other plastic surgeries, is characterised by its pros and cons. These processes depend on patient's characteristics. The only difference between anatomical and round implants is a desire of a final effect, because both types of implants are of the best quality. Disadvantages associated with using round implants. As many surgeons, that many opinions and arguments on breast enlargement procedures with using round implants. The main problem that can occur after using round implants is higher than after using anatomical implants, risk of forming folds on skin. Another disadvantage, indicated many times by plastic surgeons, is a limited amount of skin in the breasts area which in result can cause unnatural effect of the surgery. Advantages associated with using round implants. Basic, and very essential at the same time, advantage of using round implants is their symmetric shape, whereas in the event of slight rotation of implants, no bends or irregular shapes are visible. Next essential advantage is the wide choice of different gels with different degree of cohesion - it gives a possibility of achieving different effect in the field of breasts softness. In patients with proper skin elasticity, natural effect can be obtained, both in terms of softness and shape of the breast. We would like to point out at the end that all the information on our website is from only generalised cases and their job is to help you in better realisation what the breast enlargement surgery really is, as well as to prepare psychologically any potential patient for the surgery. More information will be provided during medical consultation with the surgeon. 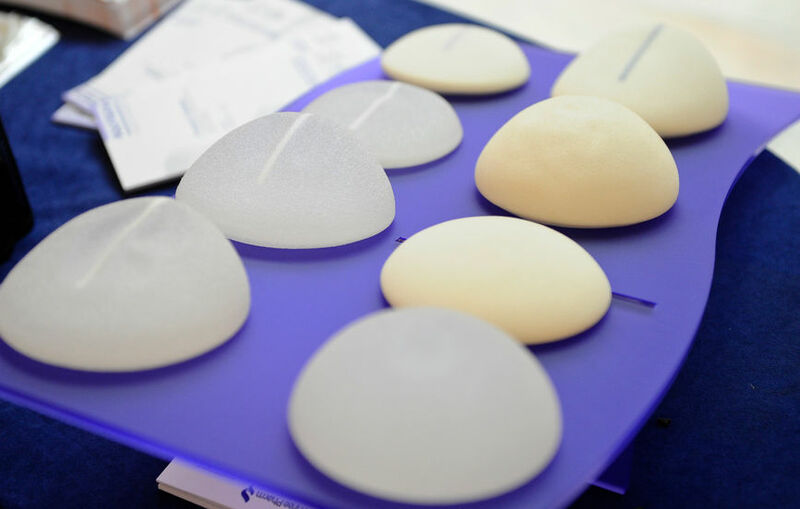 In order to find out more information regarding the surgery and everything concerning breast augmentation using round implants, please feel free to contact us via email on info@doctorpoland.com or by phone on +447365628085. We will be more than happy to provide you with all the details you need.